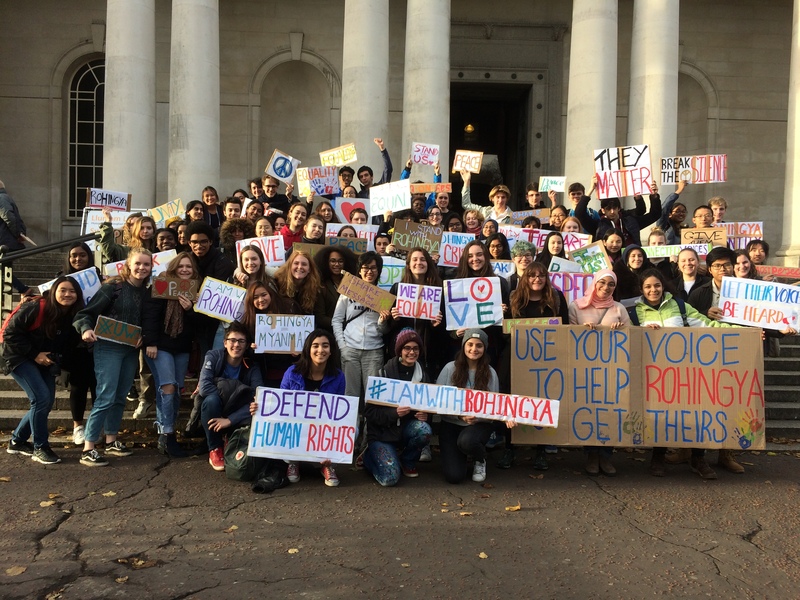 The students of UWC Atlantic College organised a Peace Protest in Cardiff to raise awareness of the Rohingya Crisis in Myanmar on Friday the 10th of November. They read poetry, sang protest songs, spoke about the experiences of being a refugee, and performed moving street theatre to attract the attention of passers-by. The students of Atlantic College managed to collect over 200 hundred signatures and reached an audience of around 500 people during their demonstration.